The Kaazing WebSocket Gateway Custom Protocol Edition provides a highly scalable, near zero-latency, full-duplex solution for Custom Protocol applications. Building on the HTML5 WebSocket standard and tuned and optimized for Amazon Web Services, the Kaazing Gateway has enterprise-class capabilities to ensure successful, rapid development of Web and mobile applications. Kaazing's product family is built with Kaazing's leading WebSocket-based technology as a foundation to enable instantaneous, full-duplex, delivery of data to browsers and mobile devices from any enterprise information system. The Kaazing Gateway offers a true unified architecture that simplifies your development and production deployment, reducing the need for complex Web architectures and vastly reducing the spend in developing and deploying modern Web and Mobile solutions. Kaazing WebSocket Gateway extends any TCP-based backend system directly to Web browsers and mobile devices. The Gateway delivers high-performance over the Web while protecting your data with enterprise-grade security. It supports all browsers, including older versions that don't natively support WebSocket. 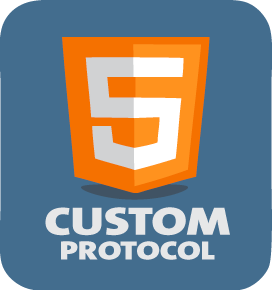 The Custom Protocol Edition allows you to implement a standard or custom protocol over WebSocket. All data communications are based on WebSocket or Kaazing's WebSocket emulation in order to provide full duplex connectivity at all times. The server can push data to the client and the client can push data to the server. Additionally, Kaazing's WebSocket Acceleration offers enterprise WebSocket emulation when native WebSocket is not available. This includes support for older web and mobile browsers such as Android, Safari, Opera, and MS IE6+. Mobile and Web cross-platform support including browsers all the way back to IE6. The core WebSocket APIs are implemted in Java, Flex/Flash, Silverlight/.Net, Objective-C (mobile iOS), and Android.